The Hondo and Pecos rivers flow through Roswell. Old downtown has a ton of alien related stores, most of which were closed since I went on a Sunday. 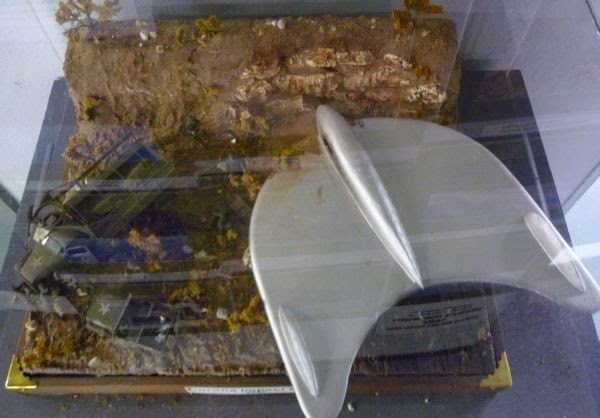 In an old theatre building, on Main St, I found the Roswell UFO Museum. It had lots of photographs and statements about first person experiences surrounding the 1947 UFO incident outside of Roswell. There was a section about Walker Army Air Field/Air Force Base that was there and which was involved in the recovery. They had a movie about the UFO crash and other events that took place in the area during that era. And, as I walked through one section, a period style radio would broadcast the reports given at the time. The displays of aliens and materials surrounding the event were created based on descriptions from witnesses. Every so often, the display with aliens and UFO would come to life with strange lights and eerie sounds. 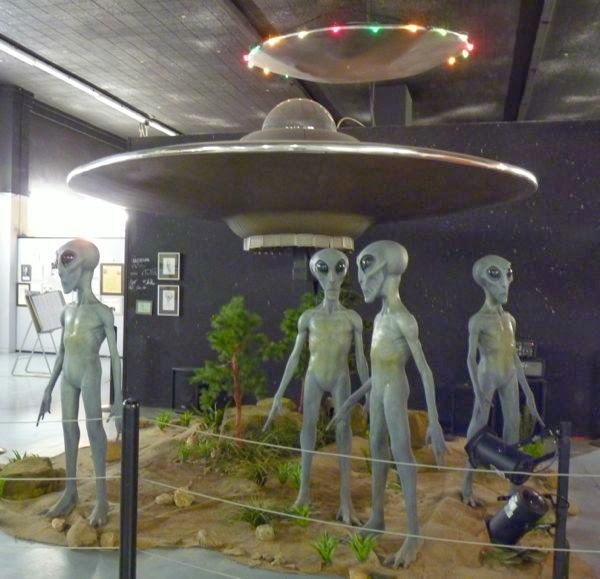 There were displays about other extraterrestrial reports like UFO sightings, crop circles, and a reproduction of a pre-historic carving depicting an alien encounter. After the museum visit, the questions remain about what really happened there. I walked up Main Street to find a recommended Mexican restaurant, and instead found a large sculpture in a park. 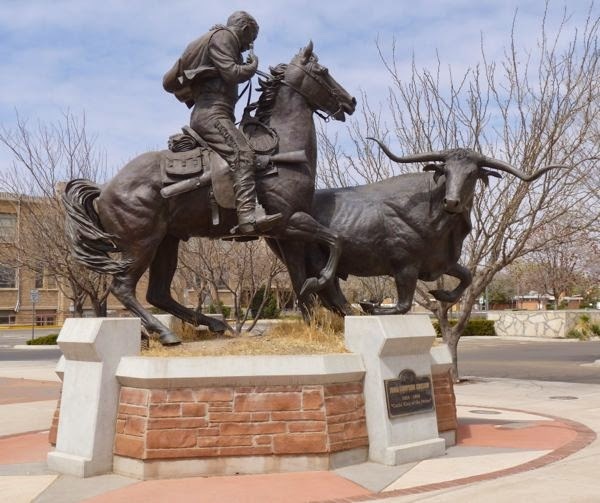 “Cattle King of the Pecos” by John Simpson Chisum. The restaurant was closed, so I returned to Tardis and found another place to eat. El Toro Bravo served up a nice burrito with steak meat, beans, onions, cheese and red sauce. Yummy! Roswell had a lot to offer besides the UFO stuff. The historic County Courthouse, the New Mexico Military Institute, Walker Aviation Museum, Historical Center for Southeast New Mexico, Anderson Museum of Contemporary Art, Pecos Flavors Winery, Bitter Lake National Wildlife Refuge, Spring River Park and Zoo were all there. Nice place to visit – lots of history. Yes. I was surprised to find so much there. I have wanted to visit Roswell for a long time. I wonder if I’ll ever get there. If you have the time to spend there are several interesting things to see.